Compressor-Pump & Service can perform plant system compressed air audits going beyond the requirements defined by the DOE and Compressed Air Challenge. Utilizing state of the art LogAir™ Auditing System data loggers and software designed to meet the comprehensive requirements of today’s compressed air systems, CPS can analyze your compressed air system and make recommendations to lower your energy cost. 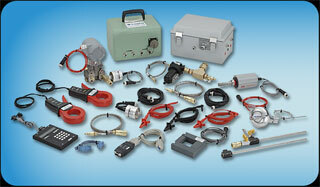 The complete LogAir™ Auditing System can log any parameter desired in your compressed air system.